Grapes left on the vine after their normal harvest date, will shrivel and create more complex and concentrated flavours. 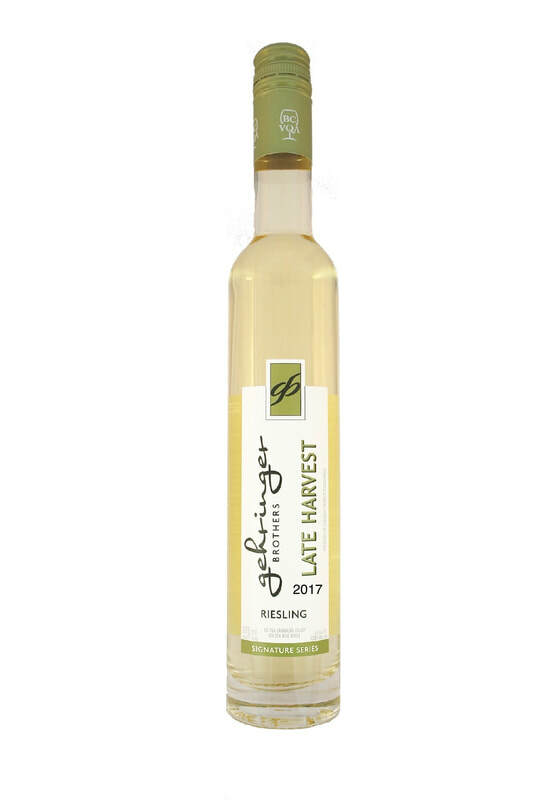 Late Harvest Riesling’s intense bouquet is laced with hints of peach, nectarine, and green apple. The fresh, crisp acidity is complemented by the honeyed late harvest character. An explosion of tastes! Can be enjoyed with most desserts, or as a treat by itself. Click for a detailed wine profile sheet for the 2017 vintage. Click for a detailed wine profile sheet for the 2015 vintage.